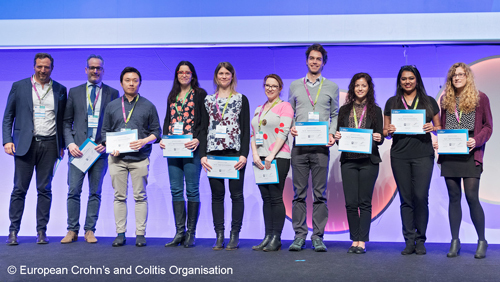 Archana Shubhakar (Ludger Senior Scientist) attended the 14th European Crohn’s and Colitis Organization (ECCO) conference held at the Bella Centre in Copenhagen, Denmark. Archana presented a talk entitled “Serum N-Glycomic Biomarkers Predict Treatment Escalation in Inflammatory Bowel Disease (IBD)” at the speed abstracting digital oral presentation. Her talk was well received and she won the best abstract presentation award for the ‘Mechanisms of intestinal inflammation’ session. The inset picture from the the 14th Congress of ECCO, shows Archana (second from right) receiving the award at the presentation ceremony. Watch this space to find out more about our exciting IBD biomarker discovery project or sign-up to our Glycotechnology News service for regular updates on this and other R&D and medical glycomics projects at Ludger. Michael Butler the Chief Scientific Officer at the National Institute for Bioprocessing Research & Training (NIBRT) institute in Dublin invited Rad Kozak, Head of Glycoprofiling (Ludger) to present a talk on the importance and significance of glycan standards. Rad’s talk focused on emphasizing the need to include and implement the use of system suitability standards, reference standards, process standards as well as quantitative glycan standards for robust and reliable glycosylation analysis. The talk was well received by the contract bioanalytical services group and the research group at NIBRT. A study by groups at Ludger and Leiden University Medical Centre as part of the GlyCoCan grant, has reported a largely automated system for high-throughput protein O-glycosylation analysis. Adapting reductive β-elimination release of O-glycans to a 96-well plate system allows the method to be performed on a liquid handling robot enabling characterization and relative quantitation of O-glycans from commercially available standards. The method, which was validated according to the ICH (Q2) R1 guidelines for the validation of analytical procedures, produced rapid and accurate data, and has the potential to be utilized for O-glycan characterization of biological samples, biopharmaceuticals as well as biomarker discovery. For more information on this and our other publications, please visit our Publications webpage. A study by groups at Ludger and Amsterdam UMC as part of the GlyCoCan grant, has demonstrated the altered expression of fucosyltransferases in colorectal cancer cells and its impact on N-glycosylation. Using CRISPR-dCas9-VPR technology to augment glycosyltransferase expression, resulted in a change of N-glycosylation at the cell surface. The findings show that exploitation of the CRISPR-dCas9-VPR system can provide a better insight into malignant cell transformation and how it is associated with tumor progression, metastasis and resistance to chemotherapy. This was recently published in Glycobiology. To view this and others, please visit our Ludger Publications webpage. We have updated our LudgerClean and LudgerTag chooser tables to incorporate all of the clean-up and labeling technologies that we offer. This should make it easier to select the most appropriate kits for your needs but of course you can always contact us directly if you have questions. 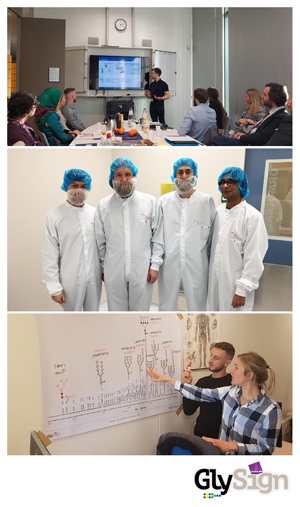 Biologicals for the Clinic - (led by Ludger Ltd and LUMC) – the ESRs presented reviews of the commercialization of different classes of biologicals for clinical use, followed by round table discussions of each sector. 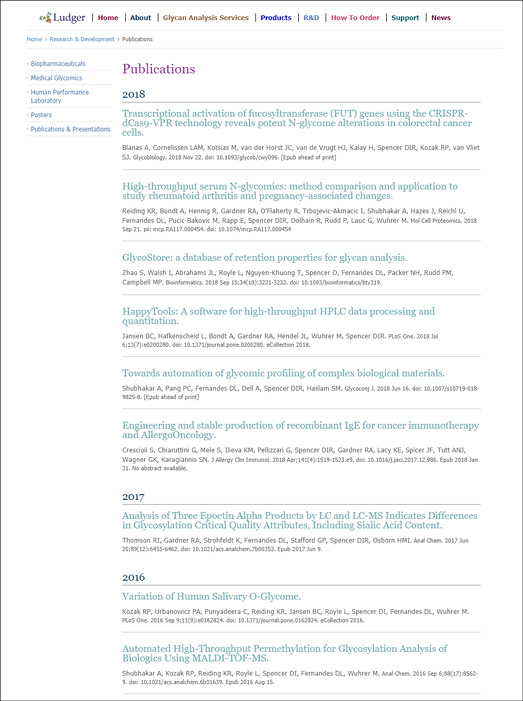 Other areas covered included: how to investigate Erythropoietin glycosylation using HILIC-mass spectrometry of fluorophore labelled glycans, how human derived immunoglobulins are produced for use in the clinic at the Sanquin Institute and some of the essentials for designing a workflow for producing and analyzing a biological. Quality Management (led by Ludger Ltd and Horizons Unleashed Ltd.) - They also learnt some of the aspects of assuring consistent and accurate effectiveness of biological assays with a review of the ICHQ2(R1) guidelines for validation of an analytical assay and learnt about efficient ways of root cause analysis to help them troubleshoot when things go wrong in the lab. Scientific Writing (led by LUMC) – An informative session on writing a scientific paper and how to compose a scientific journal rebuttal letter. For more information on our collaborative programs, please visit our Research and Development webpages. Applications are invited for a PhD position on the Development of purification and modification strategies of N-type glycopeptide and glycan moieties for use as nanoparticle activity enhancers to be carried out under the supervision of Dr. Daniel Spencer at Ludger Ltd, Oxford, UK with the PhD registered with Dr Marco Monopoli at the Royal College of Surgeons in Ireland (RCSI). The project will focus on the purification of N-glycopeptides and N-glycans from natural sources in up to gram quantities. These compounds will then be modified using enzymatic techniques to incorporate 2-3 and 2-6 sialic acid linkages, including both NeuAc and NeuGc forms with O-acetylation. Additionally, modification of branched glycans to incorporate antennary fucosylation such as the sialyl-Lewis-X moiety will also be explored. The research project will enable the candidate to greatly develop their experience in the fields of glyco-production, chemoenzymatic modification of large molecules, and purification techniques. In addition, a small portion of the project will allow the candidate to gain introductory experience in surface chemistry and nanoparticle handling. 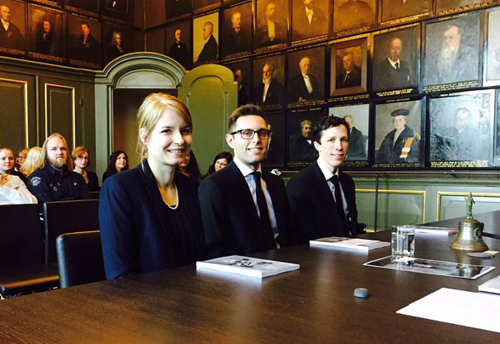 During the PhD programme, the candidate will carry out secondments with academic partners. This is one of 15 PhD positions (Early Stage Researchers [ESRs]) open in the recently granted Marie Curie European Training Network (MC-ETN) project NanoCarb - Glyco-Nanoparticles for Applications in Advanced Nanomedicine. 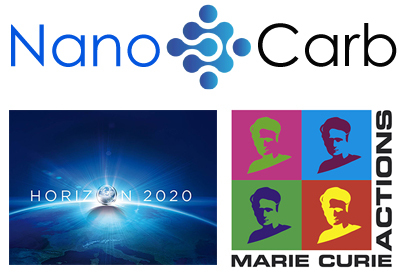 NanoCarb is a multidisciplinary consortium including universities, research centres and SMEs with broad expertise ranging from nanotechnology, carbohydrate chemistry, glycoprofiling and in vitro/in vivo screening specialists. If you have any further questions please contact Daniel Spencer. We have produced an informative slide presentation, part of our glyShape series for biopharmaceutical glycosylation, to explain the features and benefits of using LudgerClean T1 cartridges in your workflow. 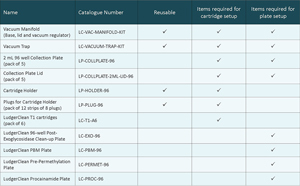 LC-T1 cartridges can be used to clean up samples after labelling with 2-AB, 2-AA or APTS. Clean up is completed within 30min for a single sample; 2 hours for 96 samples. The presentation also includes a video with step by step instructions. Dr Louise Royle retired in October after being with Ludger for over 10 years. Please contact us if you would like to find out more about our custom analytical services, and visit our Glycan Analysis webpage for more information. 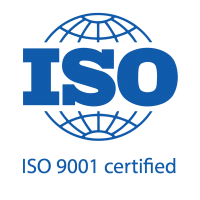 We are pleased to announce that in October 2018, Ludger achieved Cyber Essentials accreditation. Cyber Essentials is a government-backed and industry-supported scheme to guide businesses in protecting themselves against cyber threats. This accreditation demonstrates Ludger’s commitment to security and our ability to defend both our organisation’s and customers’ critical data against prevalent cyber threats. Dr. Jenifer Hendel attended the 29th International Carbohydrate Symposium in Lisbon, July 15-19th. Jenifer’s poster entitled ‘Glycan Standards as Key Tools for Robust and Reliable Analysis of Glycoproteins’ was well received and she would like to thank everyone for the engaged conversations. The journal of Organic & Biomolecular Chemistry also awarded it the Chemical Biology Poster Prize. GlyShape presentations have been created for our clients in the biopharmaceutical industry to share Ludger's expertise and demonstrate how our systems can be integrated into labs as part of the drug development process. The series will provide useful overviews of glycan analysis methodologies and instruction guides for key technologies. The first in this series introduces our V-Tag technology for N-glycan release and labeling. It includes a video that provides clear step-by-step instructions on how to perform the method using the LT-VTAG-C30 kit. We'll have more presentations to follow. Sign-up to our Glycotechnology News service for regular updates. We are excited to announce the launch of our V-Tag glycan kit which enables release of N-glycans from glycoproteins, N-glycan labeling and clean up within 1 hour for a single IgG type sample and 2 hours for 30 IgG type samples (timing for release by PNGase F might need to be adjusted for complex type samples). The glycans are then ready for analysis by (U)HPLC. Also, once labeled with V-Tag the glycans can be incubated with exoglycosidases to allow for structure assignment. From 15-18th of May 2018 Ludger hosted the joint GlySign EID and GlyCoCan ITN workshop at the Culham Science Centre, UK. Course Leads: Daniel Spencer from Ludger Ltd and Helen Williamson from Horizons Unleashed Ltd. Early Stage Researchers from the Marie Skłodowska Curie Actions projects GlySign EID and GlyCoCan ITN attended this workshop to learn about business processes such at the Business Model Canvas and the Value Proposition Canvas and explore how the tools can be useful in managing successful outcomes from their own PhD projects. In addition to this they also learnt about the value of robust quality management within an organisation. The workshop included seminars, interactive discussions, having a go at being a drinks manufacturer entrepreneur and a visit to a real food manufacturing company. We would like to thank everyone for their participation and help to make the event a great success. 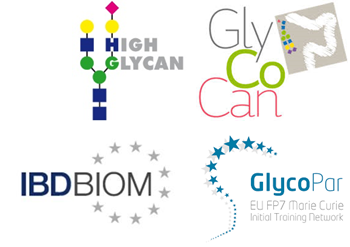 For more information on the GlySign and GlyCoCan projects, please visit our Research and Development for Medical Glycomics webpage. 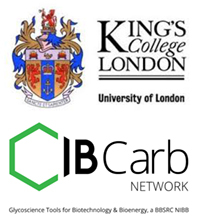 A successful Business Interaction Voucher funded by IB Carb (www.ibcarb.com) was used to strengthen the glycomics collaboration between lmperial College London and Ludger Ltd. This has resulted in publishing the following article titled “Towards automation of glycomic profiling of complex biological materials” by Shubhakar et al. in the Glycoconjugate journal. 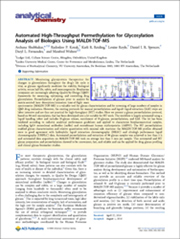 This paper compares the performance of an automated plate based method for N-glycan release and permethylation of glycans derived from mouse lung and kidney tissues to established standard glycomic protocols using matrix-assisted laser desorption/ionization time-of-flight mass spectrometry (MALDI-TOF MS). The study revealed that the automated workflow is highly repeatable and it shows highly comparable MALDI-TOF-MS N- and O-glycan profiles of complex heterogeneous glycoproteins when compared with the standard protocol. 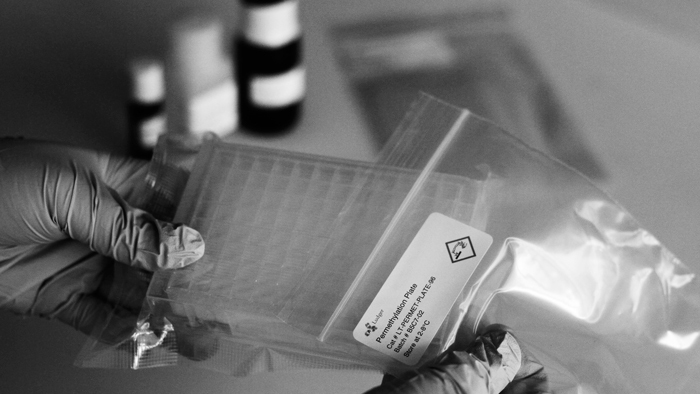 The key advantages of using the automated sample processing steps include reduced sample preparation times, low sample volumes needed for processing, it eliminates the need for performing the labour intensive steps, minimises hands-on-time, increases sample throughput and this set up has also shown immense potential for multiplexing, making the automated samples processing method convenient, scalable, fast and reproducible. 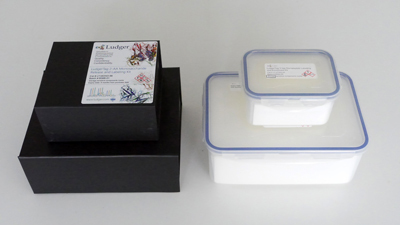 Ludger’s LT-PERMET-96 kit was used for derivatising these complex biological samples. For more information on the LudgerTag Permethylation kits and to view the presentation on our technology, please visit our Permethylation webpage. No matter what type of chromatography you are using (HILIC-LC for glycan GU, WAX-LC for glycan charge; RP-LC for sialic acid ormonosaccharide analysis) it is good practice to run a regular system suitability check. Are you tracking your column performance? 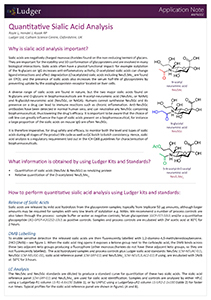 If not, please see our Ludger Application Note for guidance. We are transitioning to new packaging for some of our kits, starting with our monosaccharide kit, LT-MONO-96. The new black boxes are shrink-wrapped and replace the plastic boxes (shown below, left). We are excited about this new development as we believe this to be an improvement to the previous packaging. We have re-designed our labels and have also listed kit contents on the inside of the lid (with storage temperature guidance for each component). Please contact us with any questions regarding. 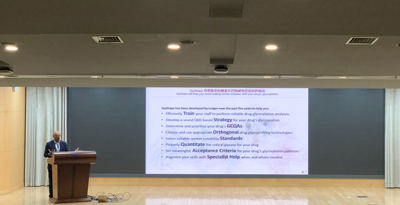 Daryl Fernandes, Chief Executive gave two seminars in Shanghai, China in March to representatives of biopharmaceutical companies and academia. The seminars were entitled “Ludger GlyShape Quality by Design”. The seminars focused on how we are able to help companies develop biopharmaceuticals by understanding and optimizing glycosylation. Following his visit to Shanghai, Daryl visited clients in South Korea. Please contact us if you wish to hear more about this. Archana Shubhakar (Senior Scientist) will be attending Euro Biosimilars Congress 2018 in Rome, Italy. She will be presenting a talk entitled, Automated permethylation for glycosylation analysis of biologics using MALDI-TOF-MS, and moderating Day 1 sessions. Please let us know if you will also be attending and would like to meet. 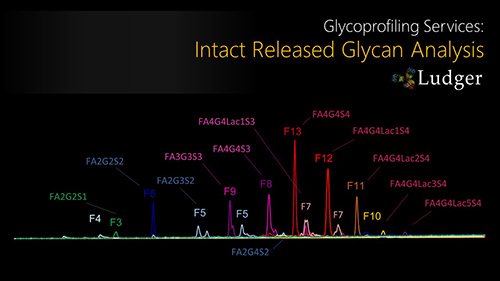 We have recently added a short slideshow on intact released glycan analysis to our website. This demonstrates our analytical approach, with example workflows and data for IgG and EPO. b) aims to enhance customer satisfaction through the effective application of the system, including processes for improvement of the system and the assurance of conformity to customer requirements. From our collaboration with Kings College London, as part of the ‘GlycoShape: Defining and designing altered IgE glycoforms’ project, we are pleased to announce the forthcoming publication of a paper in the Journal of Allergy and Clinical Immunology. This paper describes the development of a tool to produce therapeutic IgE at high yields. Anti-tumour IgE has been demonstrated in a number of studies but it has been a challenge to produce of high enough yields for preclinical and clinical studies. 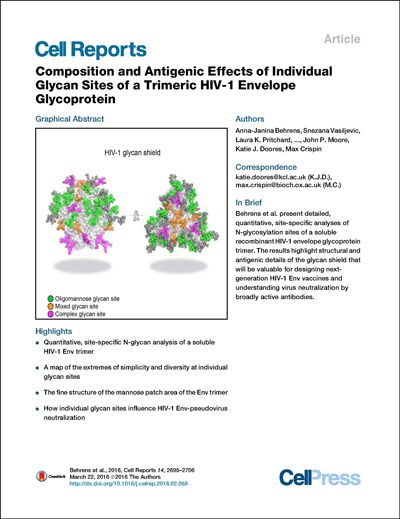 Once the high yield recombinant IgE was produced, analyses at Ludger were performed to assess the glycosylation profile, and these revealed the importance of Man5 glycans in antibody binding and functionality. This study, using IgE as an example, has demonstrated how novel antibody therapies can be developed with enhanced effector functions. The graduate school Analytics for Biologics (A4B) is offering 15 PhD positions with the aim to produce the much-needed specialists in field of production, down-stream processing and analysis of therapeutic proteins (TP). This Marie Sklodowska-Curie Innovative Training Network (ITN) is composed of 11 European academic and industrial institutions and provides the optimal scientific network for training schools and individual research projects toward a common goal. One of the A4B PhD positions will be based at Ludger Ltd, funded and based at Ludger Ltd. for three years and supervised by Dr Daniel Spencer, with the PhD registered at the Leiden University Medical Centre with Professor Manfred Wuhrer as a four year course. The PhD position will suit someone with both synthetic chemistry and analytical chemistry experience and will involve the synthesis of a novel fluorophore to be used for automated high throughput glycan and glycopeptide analysis. Dr. Rad Kozak and Dr. Claire Morgan have returned from successful participation at the 2018 CASSS WCBP Symposium in Washington DC. Their poster presentations on Biopharmaceutical FSH characterisation and Sialylation in Biotherapeutics were well received and they thank everyone for the engaged conversations. They will shortly be sending each of the contacts made at the meeting a copy of the poster. You can view their posters by visiting our Biopharmaceutical R&D webpage. 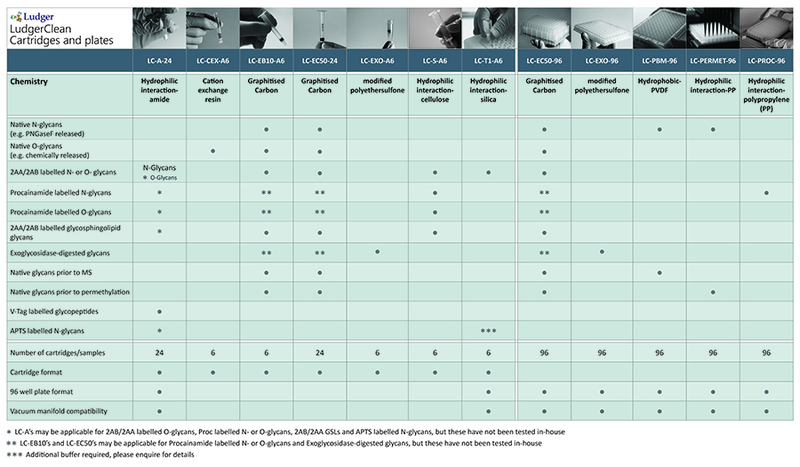 Our flowchart outlines the choices you can make when selecting a glycan label for your analytical detection method. Use of a vacuum manifold for sample clean up speeds up processing times. Ludger’s Velocity vacuum manifold system is compatible with cartridges or plates, and is a valuable tool for your lab. If you currently use our LC-S cartridges to clean up labelled glycans, you could try our LC-T1 cartridges with the manifold system and process 96 samples in under an hour. We have two plate systems which are compatible with the manifold system; our LC-PBM-96 plate can be used to clean up samples after treatment with endoglycosidase (PNGaseF) or exoglycosidases, and our LC-PROC-96 is designed for glycan clean up after procainamide labelling. The LC-permet-96 clean-up plate is used to enrich N-glycans prior to performing permethylation of released glycans. 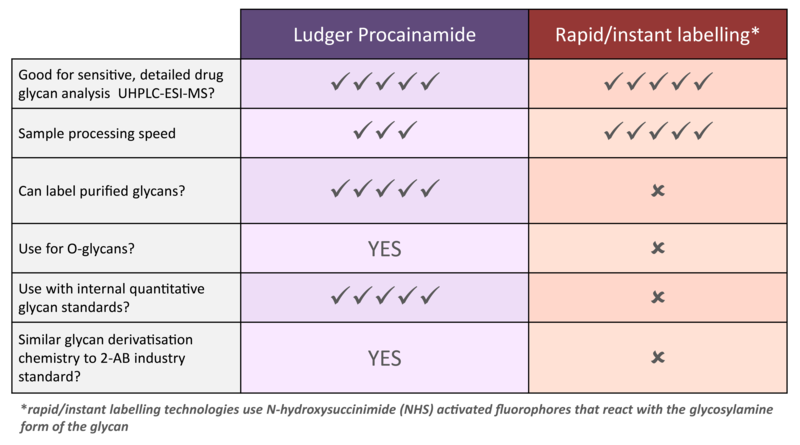 We have developed a table that outlines the features and benefits of Ludger's procainamide labeling technology in comparison to competitor offerings. Procainamide labeling permits glycan identification by either mass spectrometry or (U)HPLC, and because of its improved ionisation efficiency compared to 2AB labeling it can permit identification of minor glycans (<1% relative peak area) by ESI-MS.
Ludger's procainamide labeling system is suitable for N-glycans, O-glycans, GSL-glycans, heparin or any sugar with a reducing terminus and uses the same reductive amination labeling method that has been used for 2AB & 2AA. For more information, please visit our Procainamide webpage. 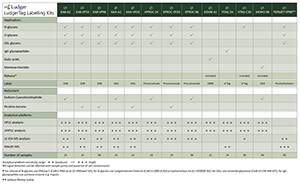 Sialic acid analysis is a regulatory requirement laid out in the ICH Q6B guidelines for characterisation of biopharmaceuticals. 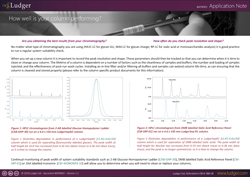 We have produced an Application Note detailing how to perform quantitative sialic acid analysis using our technology. This includes the methods for sample preparation using the LudgerTag DMB release and labelling kit and our system suitability standards as well as information for LC analysis using LudgerSep (U)HPLC columns. Paul joins Ludger in early November. His previous role was Program Director at the Getinge Group where he worked on stakeholder Group Projects spanning 6 global manufacturing sites, 3 global design centres and all group functions. Projects covered operational, engineering, regulatory, computer system, quality, branding and product safety. Prior to this Paul was at Abbott for over 12 years moving through a variety of functional areas covering capacity planning, engineering and operations for a variety of technical, operational and sales units within Abbott's Diabetes Care division. He has a Bachelor in Engineering from Leeds and studied on the Advanced course in Design, Manufacture and Management (ACDMM) from University of Cambridge. Paul will add great value to Ludger as it continues on its journey. Daryl Fernandes, Chief Executive of Ludger Ltd gave a seminar to members of the Chinese Biopharmaceutical Industry on September 15th 2017. 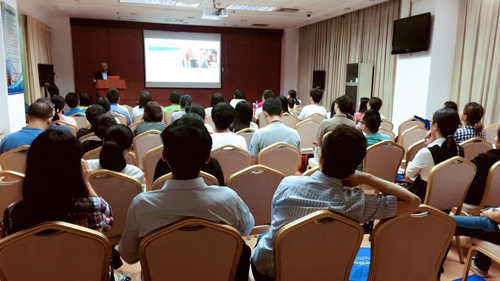 This event was an excellent opportunity for us to meet drug developers in China and to share our expertise in the field of Glycobiology. The event was held at Shanghai‘s Zhangjiang Hi-tech Park Conference Hall. Daryl’s talk was entitled "GlyShape: a strategic technology programme for streamlining QbD-based development of glycoprotein therapeutics" and attracted much interest. 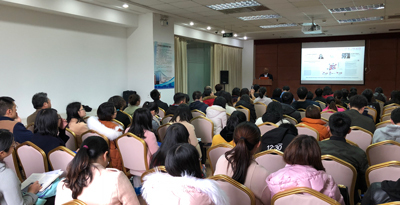 Lily Wang, Technical Sales Executive, Ludger China said "This seminar was a great success and there were many interesting technical discussions on the day". Cindy Li, Sales Executive, Ludger China commented "We look forward to working closely with our clients in China and helping them to achieve their goals". Bruker Daltonics co-hosted this event and gave a talk entitled "Bruker Innovative Mass Spectrometry helps you improve the efficiency of protein drug mass spectrometry". In partnership with New England Biolabs®, (NEB®), we are selling a PNGaseF enzyme kit which is suitable for releasing glycans from as many as 150 samples. The kit (Cat No. LZ-rPNGaseF-kit) contains 75,000 units of recombinant PNGase F at concentration of 500,000 units/ml. PNGase F is suitable for release of all types (high-mannose, hybrid and complex) N glycans from glycoproteins and glycopeptides under denaturing or non-denaturing conditions. Supplied glycerol free for optimal performance in HPLC and MS intensive methods. Ludger is a member of a pan European consortium which has been awarded H2020-MSCAITN-2017 (Marie Skłodowska-Curie Innovative Training Networks) Grant focussing on the qualitative and quantitative analysis and purification of therapeutic proteins. This 4-year project begins in October and a PhD student (ESR) will be based at Ludger for three years. Our PhD student will focus on the development of automatable and high throughput techniques to determine site specificity and quantification of N and O glycan profiles of EPO and TNF-AB. The project will build upon a recently developed product, VTAG, used to analyze and relatively quantify glycan types on the Fc receptor of monoclonal antibodies without releasing the glycan. Glycans from the therapeutic proteins will be analysed using UHPLC based hydrophilic interaction chromatography, and a glycopeptide fluorophore label will be optimized for MS and CGE-LIF analysis by chemical modification. Additionally, quantitative glycopeptide standards will be prepared and finally the assay will be automated and validated according to ICHQ2(R1) guidelines. A paper entitled "Analysis of three epoetin alpha products by LC and LC-MS indicates differences in glycosylation critical quality attributes, including sialic acid content" has been accepted for publication by Analytical Chemistry. This work was the result of a collaboration between the University of Reading, University of Sheffield and Ludger. As part of this work, we used acetyl esterase (sialate-O-acetylesterase) to remove 9-, 8- and 7-O-acetyl groups from the EPO biopharmaceutical glycans as these sugars and their acetylation are believed to be essential factors for the function, efficacy and half-life of the drug in patients. This enzyme can also be used for the characterisation of other highly sialylated biotherapeutics such as FSH and blood clotting factors. Reference: Biochem J. 2015 Dec 1;472(2):157-67. doi: 10.1042/BJ20150388. Epub 2015 Sep 16. Negatively charged glycans (sialic acids, sulphated or phosphorylated sugars) often play a critical role in the function of a glycoprotein. For example sialic acids increase the serum half-life of glycoproteins by protecting them from degradation by the asialoglycoprotein receptor; sulphated glycans are involved in cell adhesion; and Mannose-6-Phosphate is a key targeting signal for transport of glycoproteins to lysosomes and is present in therapeutic enzymes (enzyme replacement therapies) developed for treatment of lysosomal storage diseases. The LudgerSep-C3 column (Cat # LS-C3-7.5x75) is a weak anionic exchange (WAX) HPLC column that enables you analyse negatively charged sialylated, phosphorylated and sulphated glycans. This technique is also known as ‘charge profiling’. An example of the information that can be provided is the relative amounts of sialylation (1, 2, 3 or 4 sialic acids) on your glycoprotein which is important to know when analysing a highly sialylated protein such as erythropoietin (EPO). Although sialylated and sulphated glycans can be separated by anion exchange at a low pH of 4.4, the phosphorylated sugars would not be fully charged and there would be multiple species in solution. In order to have one buffer which is suitable for separation of all anionic glycans (sialic acids, phosphorylated and sulphated sugars) Ludger recommends the use of pH9 ammonium formate buffer. 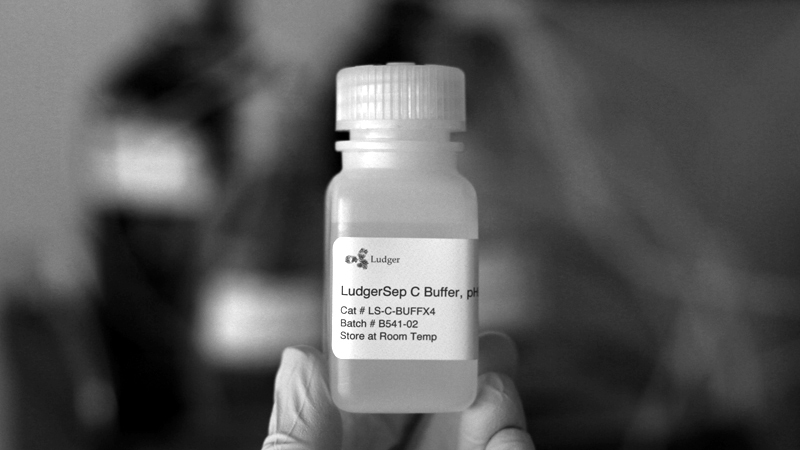 The LudgerSep C buffer is a pH 9 ammonium formate buffer concentrate (Cat# LS-C-BUFFX4) which is suitable for separation of all anionic glycans (sialic acids, phosphorylated and sulphated sugars). This concentrate can easily be diluted with water and acetonitrile then used directly as a solvent for the LudgerSep C3 column. 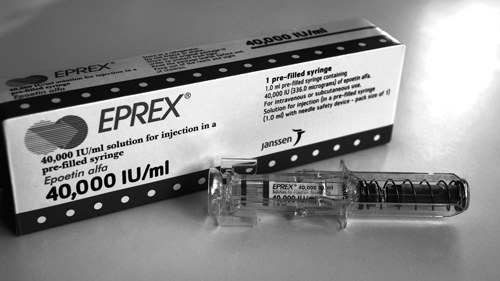 Erythropoietin (EPO) biologics generate substantial revenue for the biopharma industry and as their patents expire the market for EPO biosimilars is set to grow considerably. Analysis of the glycosylation of EPO is a challenging requirement for drug developers because this glycoprotein hormone exhibits significant heterogeneity and its high degree of sialylation and accompanying acetylation can significantly affect its therapeutic properties (particularly the circulation half-life). At Ludger we have developed accurate and reliable methods for analysis of EPO. 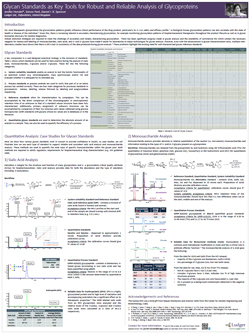 In the poster attached here (WCBP 2017) we focus on sialic acid analysis and demonstrate the use of our DMB sialic acid technology (LudgerTag DMB kit, LT-KDMB-A1) to obtain information on the relative levels of the N-acetyl, N-glycolyl and O-acetyl sialic acids. This information can be used in QC to monitor batch-to-batch variation, or for comparability studies. We can also execute detailed characterisation studies of EPO using LC and MS to give you the information you require. We are delighted to announce that our Senior Scientist Radoslaw Kozak has successfully defended his PhD thesis at the Leiden University Medical Center, The Netherlands. Rad has been with Ludger since 2008 and for the past 6 years Ludger has supported his PhD which was undertaken in collaboration with the University of Leiden. His thesis is entitled: 'Rapid and sensitive methods for the analysis and identification of O-glycans from glycoproteins'. This work has led to improvements in Ludger's methods and technology for O-glycan analysis. We all congratulate our new 'Dr' on his achievement. Ludger is delighted to have been awarded the Biomedical Catalyst 2016 - Feasibility Study grant funding from Innovate UK, for a glycomics precision diagnostic assay for Maturity Onset Diabetes of the Young (MODY). MODY affects 1-4% of the diabetes patient population and it is estimated that at least 90% MODY patients are misdiagnosed and therefore, often prescribed ineffective treatment. A clinical diagnostics ‘MODY’ assay has been developed to identify patients with the most common form of MODY, HNF1A-type. These patients have reduced plasma outer arm fucosylation which is caused by defects in the HNF1A gene. 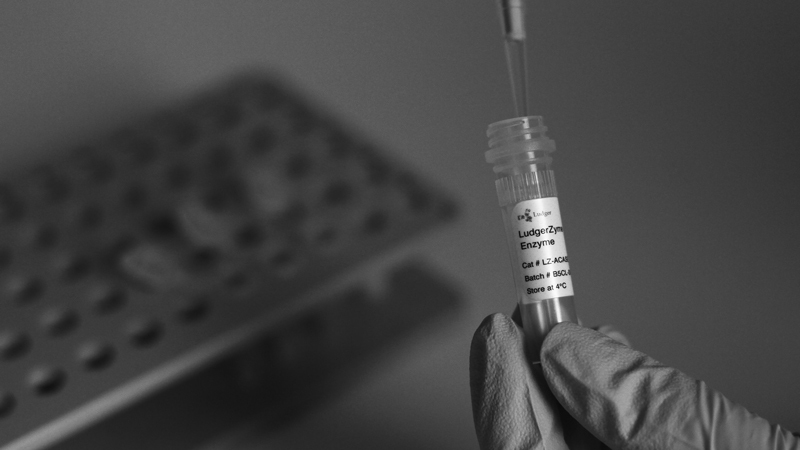 The MODY assay is a plate based biochemical assay which provides a faster and more affordable alternative to genetic testing. This exciting project, named GlycanDx-MODY, will be led by Ludger Ltd and includes the following partners; Genos (Croatia) and OCDEM (Oxford University, UK). The goal is to develop a clear business and technology plan for this assay to facilitate its incorporation into a diagnostic pathway for MODY which will ultimately be adopted by healthcare providers at the primary care level. 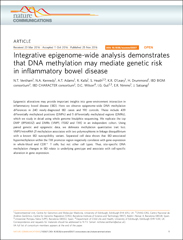 An article entitled ‘Integrative epigenome-wide analysis demonstrates that DNA methylation may mediate genetic risk in inflammatory bowel disease’ has been published in Nature Communications. Ludger is a member of the IBD-Biom consortium which contributed to the work. Citation: Integrative epigenome-wide analysis demonstrates that DNA methylation may mediate genetic risk in inflammatory bowel disease. N. T. Ventham, N. A. Kennedy, A. T. Adams, R. Kalla, S. Heath, K. R. O'Leary, H. Drummond, IBD BIOM consortium, IBD CHARACTER consortium, D. C. Wilson, I. G. Gut, E. R. Nimmo & J. Satsangi. Nature Communications 7, Article number: 13507 (2016); doi:10.1038/ncomms13507. We are joined in the GlySign consortium by Genos and Leiden University Medical Center, and will shortly be recruiting two PhD students to be based at Ludger. Ludger offers two Ludger Liberate kits that can be used to release of O-glycans from glycoprotein therapeutics; the Hydrazinolysis kit, LL-HYDRAZ-A2 and the Orela kit, LL-Orela-A2. Whilst hydrazinolysis is the gold standard method to remove all O-links, the Orela Kit contains reagents which are safer and much easier to handle. O-glycans released using either of these kits have free reducing termini so are compatible with reducing-end labeling using reagents such as 2-aminobenzamide (2AB), 2-aminobenzoic acid (2AA) and Procainamide (Proc) allowing high-performance liquid chromatography (UHPLC) with fluorescent detection. 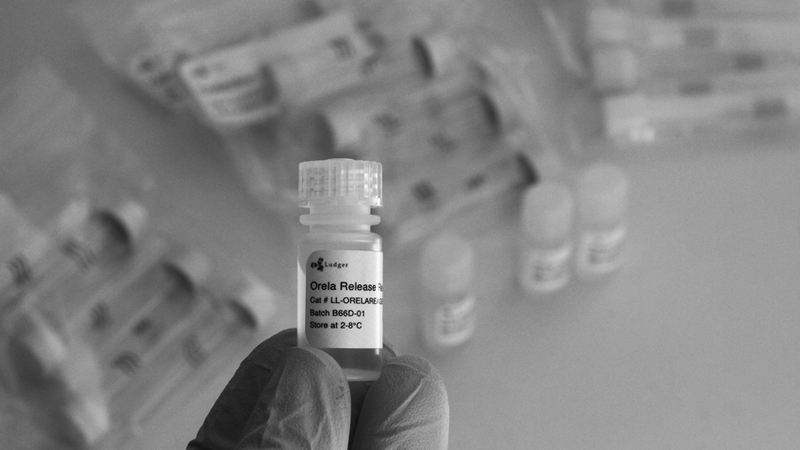 The Orela kit (Cat # LL-Orela-A2) can be used for up to 12 samples. Each kit includes LC-CEX cation exchange cartridges for O-glycan purification prior to fluorescent labeling. The hydrazinolysis kit (Cat# LL-HYDRAZ-A2) can be used for up to 12 samples. The release conditions can be optimized for release of N-glycans, O-glycans or both N- and O-glycans. Each kit includes LC-CEX cation exchange cartridges for O-glycan purification and also LC-EB20 cartridges for N-glycan purification. Ludger has published an article in Analytical Chemistry presenting an automated and high throughput (HT) glycan sample preparation and permethylation method used for characterisation and relative quantitation of glycans, glycoprotein standards and biopharmaceutical samples (IgG4 and rhEPO). To our knowledge, this is the first largely automated workflow for permethylation that has been executed using a liquid handling robot and a commercially available kit. The matrix-assisted laser desorption/ionization time-of-flight mass spectrometry (MALDI-TOF-MS) profiles obtained showed good agreement with hydrophilic liquid interaction chromatography (HILIC) and ultrahigh performance liquid chromatography (UHPLC) data (which is referred to as the gold standard method for glycan analysis). Automated permethylation and extraction of 96 glycan samples was achieved in less than 5 h and automated data acquisition on MALDI-TOF-MS took on average less than 1 min per sample, making this method convenient, fast, and reliable. Citation: Automated High-Throughput Permethylation for Glycosylation Analysis of Biologics Using MALDI-TOF-MS. Archana Shubhakar, Radoslaw P. Kozak, Karli R. Reiding, Louise Royle, Daniel I. R. Spencer, Daryl L. Fernandes, and Manfred Wuhrer. Analytical Chemistry Article ASAP; DOI: 10.1021/acs.analchem.6b01639. Each pack of LC-As contains 24 cartridges. Ludger has worked in collaboration with the Department of Rheumatology, Erasmus University Medical Center, Rotterdam, The Netherlands and Leiden University Medical Centre, The Netherlands to study IgA glycosylation in pregnancy. Serum samples were taken at different stages of pregnancy and after delivery from a cohort of 29 women. A high-throughput workflow was adopted for the simultaneous analysis of serum-derived IgA1 N- and O-glycopeptides using matrix-assisted laser/desorption ionisation Fourier transform ion cyclotron resonance (MALDI-FTICR) mass spectrometry (MS). Pregnancy associated changes of N-glycan bisection were found to be different for IgA1 compared to IgG-Fc. This method could be used for larger patient cohorts to study IgA N- and O-glycosylation changes in pathologies. Citation: Bondt, A. et al. 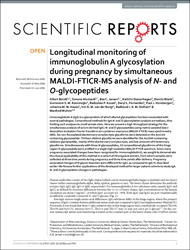 Longitudinal monitoring of immunoglobulin A glycosylation during pregnancy by simultaneous MALDI-FTICR-MS analysis of N- and O-glycopeptides. Sci. Rep. 6, 27955;doi: 10.1038/srep27955 (2016). The trimeric HIV type 1 (HIV-1) envelope glycoprotein (Env) is targeted by broadly neutralizing antibodies (bNAbs) produced by the immune system during infection. As part of our collaboration with Max Crispin and his group at the University of Oxford, UK, we have performed site-specific N-glycosylation analysis of the gp120 and three gp41 subunits of Env. Using MALDI-MS, LC-MS and HILIC-UPLC our results uncovered a dominance of oligomannose-type glycans and revealed a mosaic of glycan microclusters bearing under-processed glycans, especially in areas covering the gp120 outer domain and at the trimer interfaces. This information will assist in the design of Env-based vaccine immunogens. Ludger has an ongoing Research and Development programme dedicated to improving glycan analysis for biopharmaceuticals and medical glycomics. Around half of our R&D is funded by EU grants as part of collaborative research programmes. Glycosphingolipids (GSLs) are implicated in the pathogenesis of various diseases including Fabry disease, Gaucher disease , Tay-Sachs disease and Sandhoff disease . The enzyme ceramide glycanase can be used for the characterisation of GSLs as it deglycosylates a variety of GSLs by cleaving the β-glycosyl linkage. Once free, the GSL glycans can be fluorescently labelled using LudgerTag labelling technology and then analysed to identify their glycosylation patterns. Ludger’s ceramide glycanase kit (LZ-CER-HM-KIT) contains purified ceramide glycanase enzyme, buffer and and GM1 glycolipid. The kit is sufficient to deglycosylate 25 samples. Permethylation is the most popular technique for the derivatisation of carbohydrates for MALDI-MS detection, as it enhances ionization efficiency, stabilizes the sialic acids and aids linkage analysis studies. 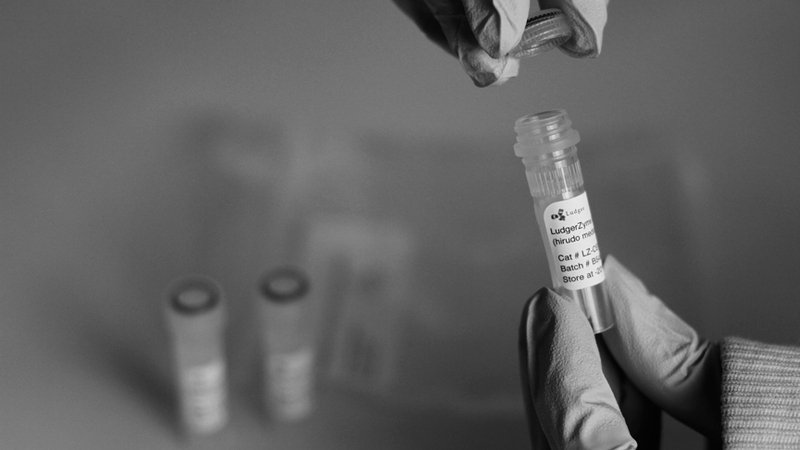 On average one sample can take as little as 1 minute for data acquisition using MALDI-MS, making it appealing for Quality by Design (QbD) and biomarker studies. Since the conventional in-solution technique to permethylate glycans is labour intensive with long turnaround times, we have developed a microplate-based permethylation kit to give you a cost effective, high throughput and reliable method. Our new LudgerTag kit, LT-PERMET-96, can be used to process 1-96 samples using either a manual method or an automated method that has been adapted to a liquid handling robot. LT-PERMET-96 gives excellent signal enhancement due to increased ionization efficiency and the technology has been validated according to ICH Q2 (R1) guidelines (for Analytical Validation). Intra assay repeatability CVs for relative % intensities were ≤12% for major N-glycans from human IgG with a relative % areas of ≥ 5%.The results from validation studies suggest that this permethylation technique gives data that is comparable to UHPLC from 2-AB labelled and procainamide labelled glycans. Click here to view a poster presentation on the subject, and you can also view a full list of Ludger's recent scientific posters. 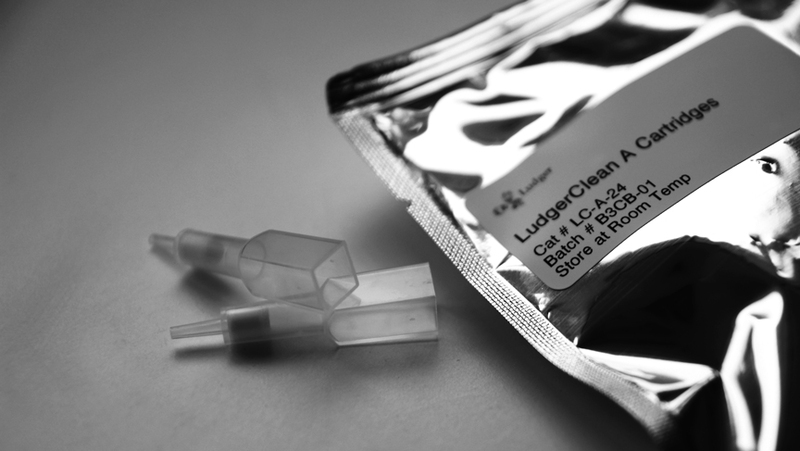 We offer a range of LudgerClean products to suit your specific need. 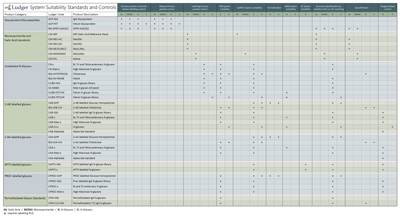 The table below summarises the different applications. 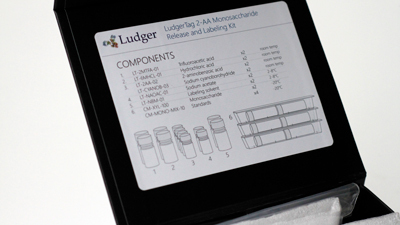 Ludger produces a comprehensive range of purified glycans, including IgG glycans, which are used as standards during the analysis of biopharmaceuticals. Purity acceptance criteria is 85% as determined by HILIC chromatography of the 2AB labeled glycans. HPAE-PAD chromatography, MALDI mass spectrometry and NMR analysis are also performed as supporting data. 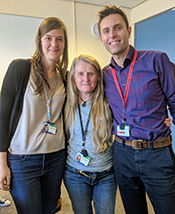 We are delighted to announce that our collaboration with Dr Max Crispin and colleagues at the Oxford Glycobiology Institute, University of Oxford, UK, has resulted in a publication in Nature Communications. The paper is entitled "Glycan clustering stabilizes the mannose patch of HIV-1 and preserves vulnerability to broadly neutralizing antibodies". The HIV-1 envelope glycoprotein gp120 is essential for virus entry into cells as it attaches to specific cell surface receptors. Whilst glycans on gp120 can protect the virus from antibody-mediated neutralization, a 'mannose patch' of under-processed oligomannose-type structures can also be a target for potent broadly neutralizing antibodies (bnAbs). 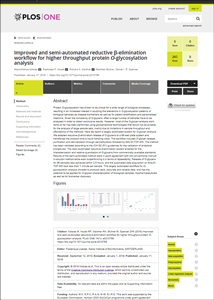 Glycosylation site analysis on gp120 was performed using methods developed at Ludger. The contribution of individual glycosylation sites in the formation of the mannose patch is discussed in this publication, and supports the use of the mannose patch as a target for vaccine design. We are pleased to announce the launch of a kit for the labeling and enrichment of IgG glycopeptides, enabling analysis by (U)HPLC or MALDI Mass Spectrometry. The VTAG kit (Cat # LT-VTAG-24) is suitable for IgG subclass glycoproteins that have been digested with pronase or trypsin to release the glycopeptides. As little as 5ug IgG sample can be used. The VTAG kit labels each sample in 1 hour and enriches the sample using a solid phase extraction (SPE) device for a further hour. This kit has been validated according to ICH guideline Q2 (R1) guidelines. Using different IgG samples and replicates of 9 for each, CVs for repeatability were typically <5%. Procainamide labeling permits glycan identification by either mass spectrometry or UHPLC, and because of its improved ionisation efficiency compared to 2AB labeling it can permit identification of minor glycans (>1% relative peak area) by ESI-MS.
We are delighted to announce the launch of a Ludger kit for labeling glycans with procainamide (using 2PB as a reductant in place of sodium cyanoborohydride), along with a post-labeling clean up plate for the samples. This technology has been validated in house at Ludger; typical CVs for triplicate analyses were <5%.